The word brahman or a derived word occurs in this Slokam repeatedly. It will be useful to have some basic understanding of this term before proceeding with the explanation of the nAma-s. The word brahman is derived from the root brah, which means vastness, power,growth, etc. anything that is big is covered under the term brahma. The term can refer to penance, veda-s, brAhmaN-s well-versed in scripture, wisdom, etc. - tapo vedASca viprASca, j~nAnam ca brahma sam~jnitam. The word brahman can also denote the Supreme Being, veda, prakRti, and the Atman(jIva). The last one is particularly used in the bhagavad rAmAnuja school,because the jIva in its essential nature is unlimited in its power, and thus is brahma in nature. Any limitation it suffers is temporary, and thelimitation is only when the jIva is associated with a body. The Atman (self) possesses the quality of "infinite extensiveness" as its true nature, even though it is conditioned by the limitations of the body whenit is associated with a body. As a proper noun, the term brahmA refers to the four-faced brahmA, and ofcourse, the word stands to denote bhagavAn when it comes to the creation of the four-faced brahmA. Different interpreters use one or more of the above meanings for the term brahman in their vyAkhyAna-s for the following nAma-s. This is partly thesource of the differences in the different anubhava-s.
a) He who is beneficial to all the big things both a-cetanaand cetana, namely prakRti and Atman. b) He who is beneficial to Brahman, namely the veda, brAhmans well-versed inscripture, penance, etc. In chapter 5.1 of pANini's ashTAdhyAyI, sUtra-s 4 to 7 deal with the affix yat,and indicate that the suffix means "good for that" under certaincases; specifically, sUtra 5.1.7 - khala yava mAsha tila vRsha brahmaNah ca (yat)- states that the affix ya after brahman denotes "good for Brahman". SUzhndu adanil peria ennavA aRac cUzhndAyE. "Oh the antarAtmA of the mUla prakRti, which evolves into mahat, ahamkAra,etc., which pervades all space, and is infinite! Oh the antarAtmA of the jIvAtmA-s,who encircle, extend over, and are larger than, the prakRti in extant, whosej~nAna is unlimited, and whose very nature is characterized by j~nAna, Ananda,and tejas! Oh the unique possessor of samkalpa j~nAna, which extends beyond theabove, and has its halo even beyond still further, which is pure Bliss innature! My desire to join you is even larger than your samkalpa j~nAna. But Youhave now enveloped me, and I am a drop in your vastness of nectar ocean. My long-time ambition is fulfilled". The first line above refers to the vastness of prakRti, the second refers to thevastness of the j~nAna of the Atman, and the third line refers to His vastness. When the term Brahman refers to the Supreme Being, it is qualified by both citand acit, or has both conscious and unconscious entities as His body; when itrefers to prakRti, it is qualified by only acit or insentiency; and when itrefers to Atman, it is qualified by only cit or consciousness. b) SrI Samkara interprets the term brahma in this nAma as referring collectivelyto penance, veda-s, brAhmaN-s well-versed in scripture, and wisdom - tapovedASca viprASca, j~nAnam ca brahma sam~jnitam, and gives the interpretation tothe nAma that because He is beneficent to them all, He is called brahmaNyah. SrI rAdhAkRshNa SAstri gives examples of this: bhagavAn retrieved the veda-sfrom the asura by name hayagrIva in His matsya incarnation; He showed the pathof penance in His nara-nArAyaNa incarnation; He gave us the knowledge of theveda-s through His teaching of the gItA; He takes several incarnations toprotect the brAhmaNa-s (vipra-s) in their times of distress. As examples of bhagavAn being beneficent to the brAhmaNa-s, SrI kRshNa dattabhAradvAj gives the example of Lord kRshNa doing pAda pUjA for all the brAhmaNa-swho came for the rAjasUya yAga performed by yudhisThira, and SrI baladeva vidyAbhUshan gives the example of Lord kRshNa retrieving the son of His guru fromyama loka. SrI satyadevo vAsishTha observes that He is called brahmaNyah because He is big,and He makes His devotees big, by giving them all the things to enjoy, and bysupporting them and protecting them. The Creator Who created brahmA, the creator of big things. SrI BhaTTar explains this nAma again using thegeneric meaning “big” for the word brahman. The creator of the world, thefour-faced brahmA, is brahma-kRt because he creates the big things, namely theworlds. BhagavAn is the Big One who creates this brahmA. So He is calledbrahma-kRt-brahmA. SrI nammAzhvAr captures this thought in his pASuram 2.2.4 intiruvAimozhi (quote from SrI v.v. rAmAnujan): dEvum epporuLum paDaikka, pUvilnAn-muganaip paDaitta dEvan emperumAn “This emperumAn created the four-facedbrahmA so that he could create all the other things including all the deva-s,and all the sentient and non-sentient objects”. SrI Samkara considers“brahma-kRt-brahmA” as two nAma-s, brahma-kRt, and brahmA. For brahma-kRt,he assigns the generic meaning tapas etc. for the word brahma, and thusinterprets the nAma as meaning that He is the Originator of tapas etc. SrIcinmayAnanda gives a slight variant – He is brahma-kRt because He performs thebrahma – tapas etc., and abides in tapas. SrI baladeva vidyAbhUshaN gives asimilar explanation – brahma karoti brahmacarya lakshaNam tapas carati itibrahma-kRt. SrI satyadevo vAsishTha gives the meaning that bhagavAn makes Hisdevotees big, and so He is brahma-kRt. Or, He created the four-faced brahmA, theveda-s, the brAhamaNa-s, tapas, etc. as special (magnanimous), and so He isbrahma-kRt (SrI rAdhAkRshNa SAstri). For the second part, SrI Samkara gives theinterpretation that He is brahmA the creator. Since He is the antaryAmi ofbrahmA the four-faced creator, He is the real Creator. 2) He makes everything big. His “Bigness” isexplained in terms of His parattvam in the vyAkhyAna-s of SrI Samkara and thosefollowing him, and the emphasis is placed on His unlimited kalyANa guNa-s in thevyAkhyAna-s of SrI BhaTTar and those following his school. Please refer to thewrite-up comparing the different vyAkhyAna-s that was presented in this seriesearlier. The root is the same as for the previous nAma-s, namely bRah – togrow, to increase. SrI BhaTTar quotes the following in support: “bRhatvAtbrahmaNatvAcca brahmeti parikIrtyate” – He is called Brahman because He isbig, and He also makes others big. He is everywhere, He is in everything, Hemakes everything big, His guNa-s are big, and He performs all His actionswithout any other support and by His mere samkalpam. He expands the non-sentientmatter into gross and subtle, He sustains these in a form that is useful for thejIvAtmA-s to enjoy, He sustains the jIvAtmA-s, He grows them towards theirultimate goal, namely His realization. He does all these only for the benefit ofthe jIva-s. He is big with countless unsurpassed qualities, by His essentialnature, by the glory of His possessions, etc. His greatness is such that He canlift a baddha jIva – an ordinary samsAri – to the level of a nitya sUrithrough His Infinite Mercy (SrI v.v. rAmAnujan). SrI kRshNa datta bhAradvAjgives the interpretation – bRmhayati prajAh sva-dayAdRSA iti brahma – He Whoenhances His devotees by His mere Merciful glance (kaTAKsham), is Brahma. SrISamkara emphasizes His being Great (bRhatvAt), as signified by Hisall-pervasiveness, His expanding into everything, etc. He quotes from the vishNupurANa (6.7.53) – sattA mAtram, a-gocaram vacasAm, Atma samvedyam, tad j~nAnambrahma – That which is Pure Existence, is beyond the reach of words, and canonly be experienced, is Brahma. SrI cinmayAnanda gives the interpretation –bRmhatvAt brahma – Because He is the Biggest, the Vastest, the All-Pervading.,He is called Brahma. a) He Who makes dharma grow. b) He Who grows and nurtures everything in a big way. a) SrI BhaTTar's interpretation here uses the meaning "tapas", whichin itself includes dharma, for the term brahma. The Sruti text is "tapobrahma", and He Who makes it grow is brahma-vivardhanah - tapo brahma, tamvivardhayati iti brahma-vivardhanah. SrI satyadevo vAsishTha givesreference to the Sruti - brahma vai yaj~nah (aiyt. BrAh. 7.22). SrI v.v.rAmAnujan adds that tapas involves getting detached from objects of sensual enjoyment; the more one grows tapas, the morewill be the growth towards enjoyment of Him. SrI kRshNa datta bhAradvAj gives the interpretation that because He nurtures thetattva of brahma in the hearts of His devotees, He is called brahma-vivardhanah- brahma tattvam, tat viSesheNa vardhayate sva-jana hRdayeshu itibrahma-vivardhanah. SrI cinmayAnanda includes austerities, veda-s, truth,and knowledge under the term tapas, and since He grows these in His devotees, Hehas this nAma. The dharma cakram writer includes tapas, dhAnam, and yaj~nam under the termbrahma for this nAma. I have summarized his write-up in the following: tapas is the means by which one keeps improving his or her own self. When one sacrifices what one has for the benefit of thesociety, it is called dhAnam. Doing all our actions through thought, word, anddeed without feeling self-ownership, and dedicating them to bhagavAn, is yaj~nam. All karma should be performed without attachment. This way of doing karmaleads one to forsake the worldly pleasures, and seek union with God instead. All the actions that one undertakes with this feeling become tapas, dhAnam, oryaj~nam. The more we indulge in actions in this spirit, the more the worldimproves and becomes purer. tapas through deed, or through body, is the service to bhAgavata-s. Talking only good things, chanting the veda-s,etc., become tapas by word. Thinking only good thoughts, and not thinkingbad thoughts, becomes tapas through thought. All this tapas shouldbe undertaken with no desire for fame or name, and should be as ordained in theSAstra-s. Similarly, dhAnam should be done with full joy in giving,and not with reservation or sadness that one is parting with one's possessions,or expecting something in return. Yaj~na should again be undertaken withselflessness, and not for show or recognition, and should be consistent withSAstra-s, and performed with SraddhA. It is His thought that grows this path oftapas, dhAnam, and yaj~nam. Therefore He is called brahma-vivardhanah. The above ideas (of sAttvic tapas, dhAnam and ya~jnam) are clearlyenunciated by bhagavAn in gItA Chapter 17 - SraddhA traya vibhAga yogah. a) The Knower of the veda-s.
b) He Who restored the veda-s during His matsya incarnation. c) He Who knows everything big, both seen and unseen, and those that can only beinferred. brahma vetti iti brahma-vit - He Who knows brahma is brahma-vit. "The veda is both beginningless and endless. Neither the gods,nor the sages, know it in entirety. The one great Creator, bhagavAnnArAyaNa alone knows it, by Himself". Note that the veda-s are theones that reveal Him, and just as He cannot be entirely known, so also the veda-scannot be entirely known, except by Him. SrI v.v. rAmAnujan givesreference to the gItA - vedAnta-kRt veda-videva cAham (15.15) - "I am theOne who brings about the fruition of the vedic acts, and I am the Knower of theveda-s". bhagavad rAmAnuja in his commentary on verse 15.15 of the gItA indicates that by"knowledge of the veda" is meant the understanding that He is the Onewho is the object of worship to all other devatA-s such as agni, vAyu, etc. -aham hi sarva yaj~nAnAm bhoktA ca prabhureva ca (9.24), that He is One whobrings fruition to all the offerings - labhate ca tatah kAmAn mayaiva vihitAn hitAn (7.22), that He is the One to be known from the veda-s - vedaiSca sarvaihahameva vedyah (15.15),. Anyone who does not clearly understand these, andinterprets the veda-s in any other sense, is not a knower of the veda-s.
SrI v.v. rAmAnujan gives references to peria tirumozhi of tiruma'ngai AzhvAr insupport of SrI BhaTTar's vyAkhyAnakm: paNDAya vEda'ngaL nAngum ainduvELvigaLum kELviyODu a'ngam ARum kaNDAnai (2.5.9), paNDai nAn maRaiyumvELviyum kELvip pada'ngaLum pada'ngaLin poruLum… tAnAi ninRa em perumAn(5.7.1). b) SrI kRshNa datta bhAradvAj uses the meaning vid - lAbhe - to get or to find,and interprets the nAma in terms of His matsya incarnation where He restored theveda-s when they were escaping from brahma's mouth - visramsitAn uru bhayesalile mukhAt me AdAya tatra vijahAra ha veda mArgAn - SrImad bhAgavatam -2.7.12) - (The four-faced brahma's words - Because of my great fear at the vastwaters at the end of the millennium, the veda-s came out of my mouth, and theLord who enjoys those waters protected the veda-s). c) SrI satyadevo vAsishTha gives the meaning brahma = anything big, seen orunseen, and gives the interpretation that bhagavAn is brahma-vit, becauseHe alone knows all things big, that are seen or unseen, or that can be perceivedonly through j~nAna, and He is the One who creates them, sustains them,and grows them bigger. His samkRt wording is worth repeating - vivRddhamvivardhanam vA brahma, dRSyam adRSyam j~nAna mAtra gamyam ca yat, tad sarvam kovetti iti praSne vaktum Sakyate, sa eva sarvasya AdhAro bhagavAn vishNuh vettiiti, tasmAt sa brahma-vit. The dharma cakram writer points out that the true knowledge of the veda-s liesin understanding the differences between the prakRti, the jIva, and paramAtman,and in particular, in realizing the distinction between the jIva and the SupremeOne. Those who try to analyze and dissect the lives of rAma, kRshNa, etc.,as if they are ordinary jIva-s like us, are the ones who are truly ignorant ofthe veda-s, since they have not realized the difference between the jIvAtmA andparamAtmA. The veda-s are a secret(maRai) to those who don't have the mental maturity to realize the truth behindthe veda-s. The realization that He is not just a purusha but thepurushottama, that He is beyond the three guNa-s, that He is the Supreme ineverything, that there is nothing that binds Him or constrains Him, etc., is thetrue knowledge of the veda-s. The Instructor of the veda-s.
Etymologists give the derivation - brahma nayati, aNati iti brAhmaNah - He Whoguides or recites the veda is a brAhamNa (SrI BhaTTar). (The relevantroots for aNati are aN - Sabde to sound, or prANane - to live). SrIBhaTTar refers to bhagavAn's taking birth in the atri gotra as dattAtreya, andother such births as brAhamaNa in order to establish the teachings of the vedain this world. the act of sacrificing, the act of helping in conducting asacrifice, learning the veda-s, teaching or instructing of the veda-s, givingdAnam to others, and receiving or accepting alms from others. He knows the true nature of Brahman, and devotes his entire life in the serviceof Brahman; he has no attachment to his body or to material things in thisworld; he has absolute trust in bhagavAn's kalyANa guNa-s; he dedicates himselfthrough thought, word, and deed to bhagavAn; every act of his is dedicated toHis service and to the service of His devotees; by nature he has control of hismind and indriya-s; he is not interested in worldly enjoyment; he devotes hislife in the pursuit of eternal service to Him; he has naturally purity inthought, word, and deed; he accepts whatever difficulties confront himwithout question, and does not cause harm to others in return; he isstraightforward in thought, word, and deed; he will have full trust and faith inveda-s, SAstra-s, and bhagavAn; he will learn the veda-s, and teach the veda-sto others; he will get enormous delight in learning the veda-s and SAstra-s fromthe learned, and in living a life based on these teachings; he will bedominating in sattva guNa; his dharma will be to live for the veda-s, to learnthe veda-s and to impart the knowledge of the veda-s to others; he willdedicate himself to live in such a way that by his example he will teach otherswhat it is to live a life of righteousness and love towards others. prakRti, purusha, ISvara, veda, etc. b) He Who has the four-faced brahmA in His nAbhI-kamalam. The etymology for the nAma is given by SrI satyadevo vAsishTha based on thepANini sUtra "vrIhyAdibhyaSca" (5.2.116) and "nastaddhite"(6.4.l44), whereby the addition of the affix ini to the word brahma gives themeaning "having or bearing brahma". a) SrI BhaTTar gives the interpretation that He is called brahmI because Hepossesses all that is in the form of pramANa (the means of knowledge), andprameya (the objects of knowledge). SrI SrInivAsarAghavan notes that thisincludes the veda-s (pramANa), and prakRti, purusha, ISvara, etc. 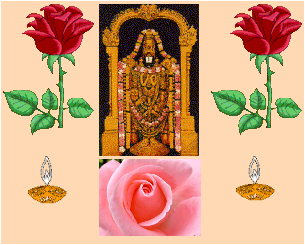 (theprameya-s - those that are to be known from the veda-s). SrI rAdhAkRshNaSAstri observes that the veda-s, the four-faced brahmA, the braAmaNa-s (vipra-s),tapas, etc., are all there to reveal His true nature, and since they are all Hispossessions, He is called brahmI. b) SrI kRshNa datta bhAradvAj gives the interpretation that because He has thefour-faced brahmA in His nAbhI-kamalam (in the lotus in His navel), He has thenAma brahmI - sa nAbhIkamale vishNoh sthito brahmA prajApatih - mArkaNDeya purA.78.51). The dharma cakram writer observes that the significance of this nAma is torealize that just as the body which is made of the pa'nca bhUta-s needs theirsupport for its survival, the realization of the paramAtmA who resides within usrequires the support of His possessions, namely the veda-s, the brAhMaNa-s (vipra-s),and tapas. One should learn the veda-s, live the life revealedby the veda-s, and live the life of a brAhmaNa as described in the previous nAma,and this yogic way of life will lead to His realization. The Knower of the inner meaning of the veda-s.
"brahma-vit - anatA vai vedAh; tAn avadhinA vetti iti brahma vit" - veda-s are limitless; He knows the the veda-s to completion or to theultimate limit, and so He is called brahma-vit. "brahma~jnah - vedAn artha-paryantam sAkshAtkaroti iti brahm~jnah" –He perceives, apprehends, and knows the veda-s inclusive of their significanceor meanings, and therefore He is called brahma~jnah. The nirukti author gives the corresponding summary for veda-vit as "yovedAn antato vetti sa brahma-vit udIritah" - He Who knows the veda-s totheir full extent is brahma-vit is called brahma-vit, and for brahma~jnah as"yo vedAn arthato vetti so'yam brahma~jnah Iritah" - He Who knows theveda-s with their true inner meanings is veda~jnah. Based on the above, one can say that in the first nAma, SrI BhaTTar emphasizesthe breadth of knowledge of the veda-s, and in the second one the depth ofknowledge is indicated. SrI Samkara differentiates the two nAma-s as follows: brahma-vit - vedamvedArtham ca yathAvat vetti iti brahma-vit; brahma vedAn svAtmabhUtAn jAnAti itbrahma~jah. Thus, in this case, the first interpretation includes theknowledge of the meanings of the veda-s, and the second one states that He knowsthe veda-s which are born of Himself. SrI cinmayAnanda comments for thefirst one as "One who has intuited the veda-s and their fullcommentaries", and for the second one, "One Who knows the nature ofBrahman as no one else can; He being the very Brahman, no one else knows Hisnature as He Himself can". Other interpreters have used other ways to distinguish between the two nAma-s. SrI kRshNa datta bhaAradvAj uses the meaning "to find, to get", to theword "vid", in the nAma brahma-vit - "brahma vedah; tad vindatimatsyAvatAre iti brahma-vit", and uses the meaning "One whoknows" for "j~nah" in "brahma~jnah". - brahma SrIvishNor vibhUtih; tad sva vibhUti rUpam jAnAti iti brahma~jnah (brahma refers toall His manifestations; He who knows this brahma in truth is brahm~jnah). The best way to view the interpretation of the two nAma-s seems to be toconsider them as complimentary to each other, the two nAma-s together signifyingHis perfect knowledge of all there is to know of the veda-s, in completion andwith the complete understanding of the significance of the veda-s.
a) He for Whom the brAhamaNa-s are of specialliking. b) He Who is specially liked by the brAhamaNa-s.
"Though a brAhmin beats a person, curses him, or utters harsh words to him,one should bow to the brAhmin as I did to bRgu. One who does not respectthe brAhmin this way will be consumed by the wild fire of the brAhmin's anger,and he deserves to be killed and punished. He is not Mine". vipra prasAdAt asurAn jayAmi (vishNu dharma 52.23). Buried in this vyAkhyAnam is also a summary of how a brAhmaNa should conducthimself, that justifies the great respect that bhagavAn holds for them. SrI rAdhA kRshNa SAstri gives the following explanation: "The brAhmins arevery dear to Him because they live for the sole purpose of chanting the veda-sas well as teaching the veda-s. Sinve the veda-s are the Lord Himself, thelove of a brAhmin in the veda-s as He chants them transforms into a love to Him;and since the brAhmin gives the place for Him in them in the form of the veda-s,the brAhmin is dear to Him". The dharma cakram writer adds that thosewho live for Him are brAhmins, and those who live for themselves are the rest. He also gives the support given under a) from itihAsasamuccayam. c) SrI bala deva vidyA bhUshaN, who gives all his interpretations based on LordkRshNa's life in this world, gives the example of His pleasing sAndIpani bybringing back his child alive, as the explanation for this nAma. d) SrI cinmayAnanda observes that the term brAhmaNa here refers to the class ofpeople who have the supreme experience-divine, those men of completerealization, and not to the brAhmins by caste.